Calling all Harley fans! 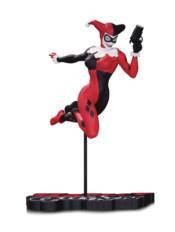 Terry Dodson's Harley Quinn is the latest and hottest statue from the hit RED, WHITE AND BLACK series. Limited Edition of 5,000; Statue measures approximately 7.20' tall.